Mostly cloudy skies early, then partly cloudy after midnight. Low 48F. Winds SSW at 5 to 10 mph..
Mostly cloudy skies early, then partly cloudy after midnight. Low 48F. Winds SSW at 5 to 10 mph. The cast of Big Spring High School’s ‘Seussical’ gathers on the auditorium stage to sing the finale, ‘The Thinks You Can Think,’ for packed audiences at the end of March. Horton the Elephant (Tyler Hunt) listens intently to the speck on his clover as The Whos sing, ‘Here On Who,’ during the show-stopping performance of ‘Seussical,’ in the Big Spring High School auditorium at the end of March. The Wickersham Brothers and Sister, and the Bird Girls from Big Spring’s production of ‘Seussical’ give an energetic performance of ‘Monkey Around’ during the spring musical at the end of March. 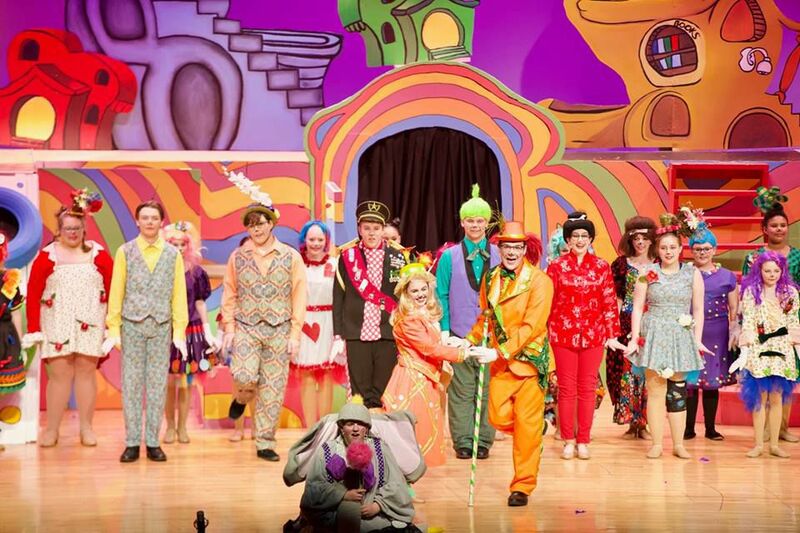 The Sour Kangaroo, Wickersham Brothers and Sister and Bird Girls hassle Horton the Elephant during ‘Big Blame Fool,’ in Big Spring High School’s outstanding spring musical performance of ‘Seussical,’ at the end of March. Entertaining from beginning to end, the large cast, crew and pit band really poured their heart and soul into the spring musical, and appealed to audience members of all ages. “Seussical” follows two separate worlds of Dr. Seuss’ imagination -- the Jungle of Nool and the planet of Who, “the tiniest planet in the sky” -- as Horton the Elephant of “Horton Hears a Who,” tries to save his tiny friends because, “a person’s a person, no matter how small.” Horton, played by Tyler Hunt, doesn’t give up on his new friends, even though he is ridiculed by everyone around him … except the bird, Gertrude Mcfuzz (played by Taryn Novak), his neighbor who admires him from afar with her one-feathered tail. Horton’s world and the Who world, with the powerful imagination of JoJo, the Cat in the Hat and Thing One and Thing Two, are mirrored throughout the production. 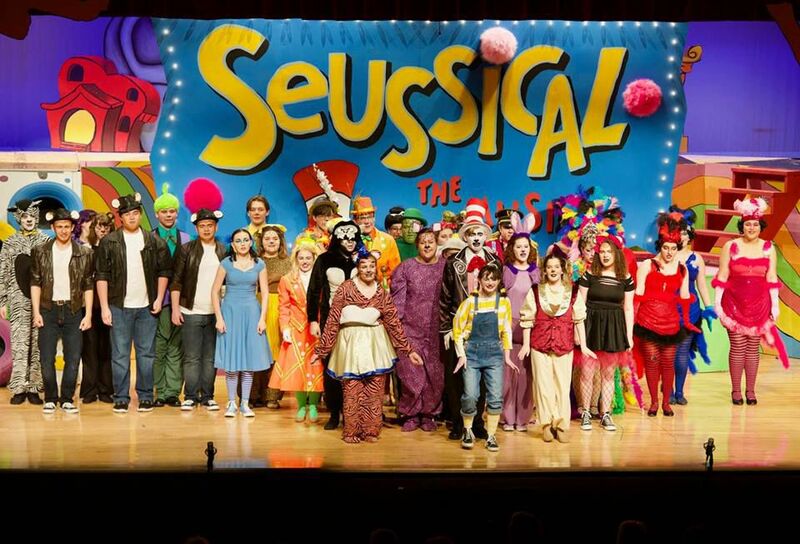 Costume designer Jennifer Rhoads, set designer Christina Hagood and several Big Spring parents helped create the whimsical world of Seuss for the students to shine bright in each of their roles. The show is full of fun chaos, but one message resounds throughout: everyone is important. Characters brought laughter with their zany antics … Mayzie (played by Christina Rhoads) and her bright feathered headdress and commanding yet selfish demeanor; Memphis Elliott’s mischievous portrayal of The Cat in the Hat; JoJo (played by Bella Llaguno) and his vivid imagination; Gertrude and her desire to have a luxurious tail that Horton is sure to notice; the jungle music played when the Wickershams “Monkey Around,” and the perfect sass delivered by the Sour Kangaroo (Maddie Hoffman). As Horton carefully protects the soft clover he catches the Who speck on, the Wickersham Brothers and Sister (played by Brendon Morris-Dice, Alex Walmer, Jarod Fry and Olivia Lusk) and Sour Kangaroo cause him to lose the flower...in a giant field of clovers. He searches and searches for it with no luck. To make matters worse, Mayzie convinces him to sit on her egg while she takes a vacation she insists will only last a few days. Hunters take Horton away, and he is eventually sold to the circus, where he runs into Mayzie several weeks later in Florida. After her many excuses, she leaves Horton with the egg, claiming she did what was best for the baby inside by leaving it with a responsible elephant. While Horton refuses to leave the egg, he wonders how JoJo and all of the Whos are doing, wherever they may be. JoJo struggles to keep his imagination from running wild, while trying desperately to escape the military school his parents enrolled him in to keep him in line. Gertrude eventually comes to Horton’s rescue, and brings his clover she finally found after weeks of searching. Horton’s bad luck isn’t over yet. The Sour Kangaroo and all of the jungle animals find him, and she makes a citizen’s arrest, bringing him to court for disturbing the peace, and talking to a speck! JoJo’s imagination saves the day in the end, allowing all in the Jungle of Nool to hear the Whos only Horton heard before. “Oh, the thinks you can think! Oh, the thinks you can think! Shawna Novak, Taryn’s mother said she was very pleased with the way “Seussical” turned out. Many audience members noted how visually stunning the show was, how beautiful the set was and how amazing the students’ voices were. Bella (JoJo) said she met the woman who played Mrs. Mayor for Big Spring 10 years ago. The cast even included some elementary school students who played soldiers in JoJo’s military school, led by Sgt. Schmitz (played by Adam McKeehan). One of the elementary students in the musical was Koya Gutshall. Memphis Elliott; Isabella Llaguno; Tyler Hunt; Taryn Novak; Samuel Keen; Kaylee Enck; Christina Rhoads; Maddie Hoffman; Adam McKeehan; Alex Walmer; Olivia Lusk; Jarod Fry; Brendon Morris-Dice; Maddie Seiler; Mara Pursley; Aurora L. Starr; Ananda Surrency; Lindsey Wilson; Dalton Kiner; Camryn Mountz; Kirsten Houseman; Carlee Seiler; Nicole Slaseman; David Lynn; Cheylene Graham; Hailey Fosburg; Samantha Schaefer; Anthony Walker; Christy Sarnicki; Micah McDonel; Noah Blessing; Malachi Cleary; Jordan Bryner; Sarah Duff; Ava Hunt; Jerikah Fetterhoff; Nalaha Dietz; Sydney Leidigh; Aija McDonald; Jane Patterson; Megan Beichler; Danielle Smith; Dezeray Marrero; Erin Kutzmonich; Evelyn Hippensteel; Finn McNaughton; Jahzayrria Bush; Mia Sigmon; Mileyshka Torres Rodriguez; Ryan Lebo; Saharah Sinkler; Jack Brozik; Marlee Mixell; Jonathan Lopp; Victoria Bechtold; Daniel Katora; Parker Gibson; Genesis Grandstaff; Abigail Strickler; Parker Gibson; Koya Gutshall; Peyton Kelly; and Ayden Flanagan. Allie Schaefer; Bly Welker; Cara David; Dakota Baer; Dalilah Cassell; Gabi Reifsnyder; Gillian Moffitt; Hailee Stryker; Isabella Pittman; Kristopher Brinton; Sara Crouse; Tobin Romito; Alexis Mearkle; Allison Drake; Bethany Clark; Brandon Heckendorn; Brandon Shaw; Caleb Dean; Dalton Mullins; Jack Byers; Jacob Gardner; Jayna Yeakley; Jimmy Laird; Mary Mettler; Porter Beitler; Rachael Gutshall; Raegan Gsell; Riley McMullen; Tiffany Webster; and Wyatt Jones. Members of the accompanying pit band, directed by Adam Nobile, included: Madicyn Barnes; Skylar Diehl; Grace Patterson; Hannah Young; Jay Ni; Bailey Morrison; Ella Stine; Emma Shughart; Abigail Brennan; William Meacock; Noah Cramm; Rebecca Smith; Allison Spencer; Gavin Hunt; Johnathan Baublitz; Brianna Brenizer; and Logan Magee.